The EWI MIDI cable is a 5 pin male DIN to 5 pin male DIN MIDI cable. 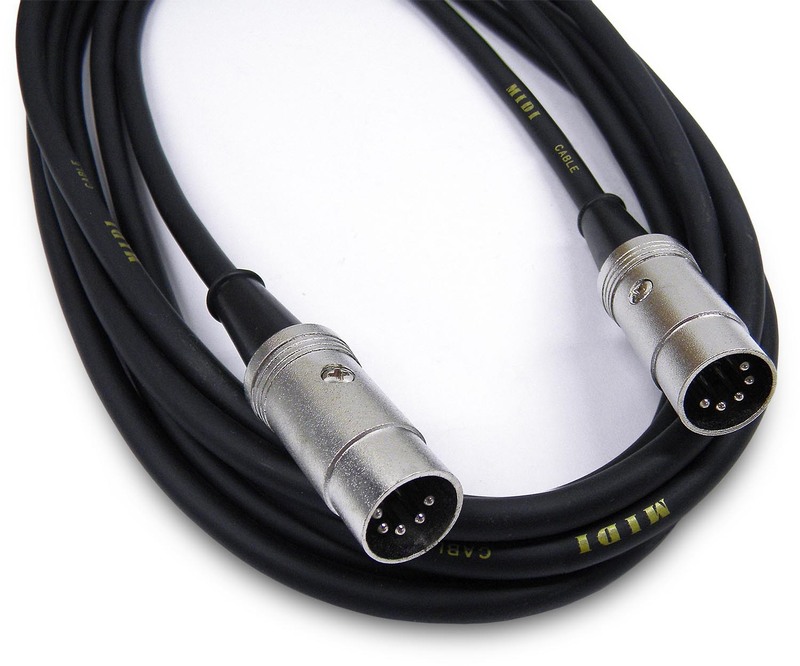 This cable is typically used for connections between keyboards and sound modules or MIDI controllers. The cable is hand assembled using durable metal shelled cord ends. MIND-6: 6 ft, 0.35 lbs. MIND-10: 10 ft, 0.55 lbs. MIND-15: 15 ft, 0.90 lbs.